Carter Page Pleads The Fifth In Russia Probe - Joe.My.God. 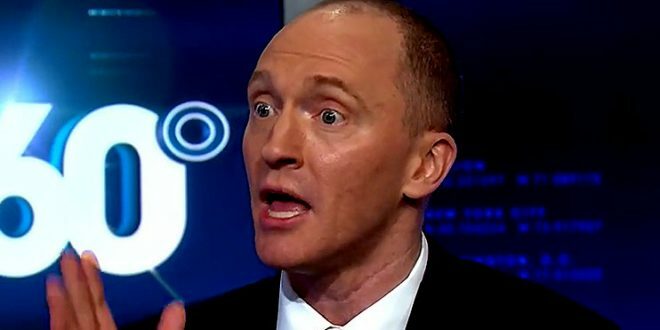 Former Trump adviser Carter Page is pleading his Fifth Amendment right and refusing to hand over documents to a Congressional inquiry into Russian election-meddling. Page, a former financier in Moscow who was name-dropped as a foreign policy adviser by the future President last spring, told CNN that he would still like to testify publicly. However, he rejected the Senate Intelligence Committee’s request for paperwork as it looks into alleged efforts by the Kremlin to tilt the election towards Trump. POLITICO reported Tuesday that Page told the committee he would not appear, though senators have suggested they are willing to subpoena testimony.